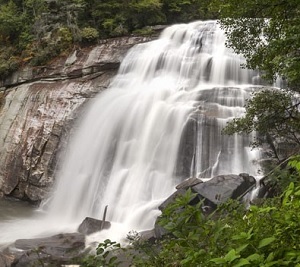 Transylvania County is known best for its over 250 waterfalls. People have visited this area for decades seeking out that most beautiful of cascades. Many have stayed after falling in love with the natural beauty of this area. After all, Transylvania County is about 50% protected public land. Brevard is the county seat of Transylvania County and is a vibrant, charming, Main Street town. Art galleries, restaurants, individually owned shops and "the coolest toy store on the planet" are just a few examples of what Brevard has to offer. Includes Cities/Towns: Balsam Grove, Brevard, Cedar Mountain, Lake Toxaway, Penrose, Pisgah Forest, Rosman, Sapphire. Gorges State Park, Dupont State Recreational Forest, Pisgah National Forest and Brevard College are just a part of the offerings here in Brevard and Transylvania County. The Transylvania Heritage Museum offers rotating displays of local history including the world's only aluminum Christmas tree collection. Coming soon is the Western North Carolina Military History Museum representing all branches of the armed services and all wars since WWI. Transylvania Regional Hospital operates locally with a connection to Mission hospital systems in Asheville. Jan 24.5 F° 35.6 F° 46.7 F° 6.4 "
Feb 26.3 F° 38.5 F° 50.7 F° 5.6 "
Mar 32.8 F° 45.7 F° 58.6 F° 7.0 "
Apr 39.8 F° 53.4 F° 66.9 F° 5.0 "
May 48.8 F° 61.2 F° 73.7 F° 6.2 "
Jun 56.6 F° 67.9 F° 79.3 F° 5.8 "
Jul 61.1 F° 71.7 F° 82.3 F° 5.6 "
Aug 60.0 F° 70.3 F° 80.6 F° 5.7 "
Sep 54.2 F° 64.9 F° 75.6 F° 5.5 "
Oct 41.8 F° 54.5 F° 67.2 F° 5.0 "
Nov 33.6 F° 45.8 F° 58.0 F° 6.1 "
Dec 27.2 F° 38.3 F° 49.4 F° 6.0 "
Spring temperatures are cool with averages in the low 50's and highs in the mid 60's. Nights are cold with lows in the low 40's. Summer temperatures are mild with averages in the upper 60's and highs in the low 80's. Nights are cool with lows in the upper 50's. Fall temperatures are cool with averages in the mid 50's and highs in the mid 60's. Nights are cold with lows in the low 40's. Winter temperatures are cold with averages in the upper 30's and highs in the upper 40's. Nights are cold with lows in the mid 20's. Most jobs in Transylvania County are in retail. 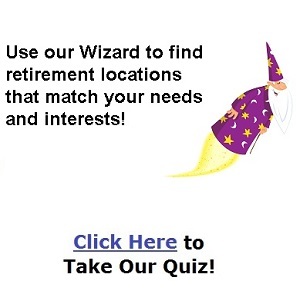 Volunteer opportunities are virtually unlimited.